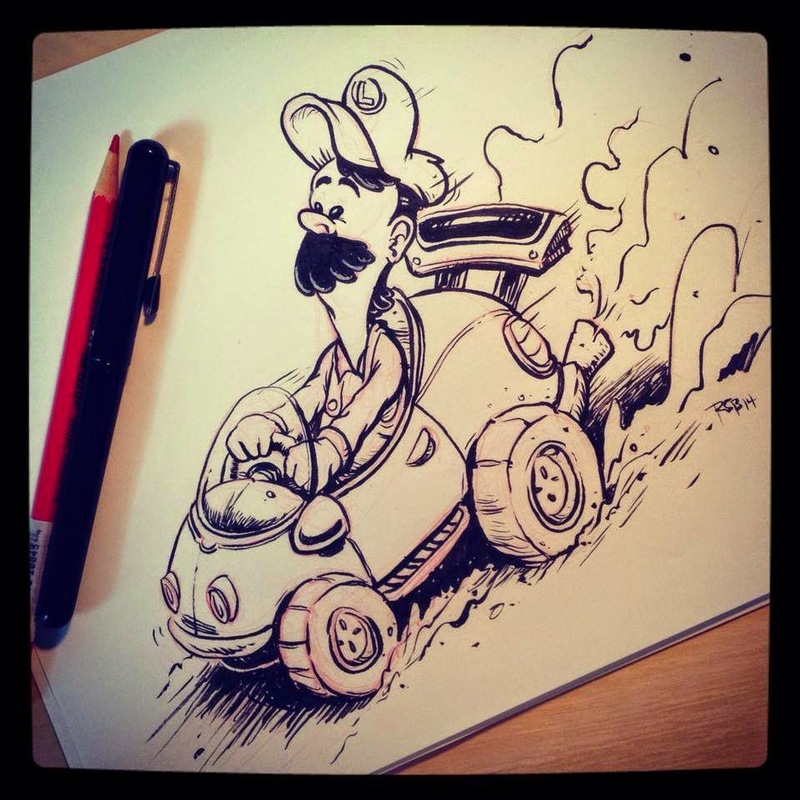 Happy Mario Kart 8 Day! :D I've been really looking forward to playing it. Who doesn't want some Mario Kart in beautiful hi-definition?! I'll see you guys out there on the track! I should have a nice sized post full of sketches coming soon. Just need to set aside a bit of the time to scan them! Thanks for being patient. If you're anxious to see more frequent updates I'm always posting on Twitter and my Facebook page (links above). Thanks for stopping by! I have had Star Wars on the brain ever since I attended Spectrum Fantastic Art Live last weekend and enjoyed a couple talks by Iain McCaig. 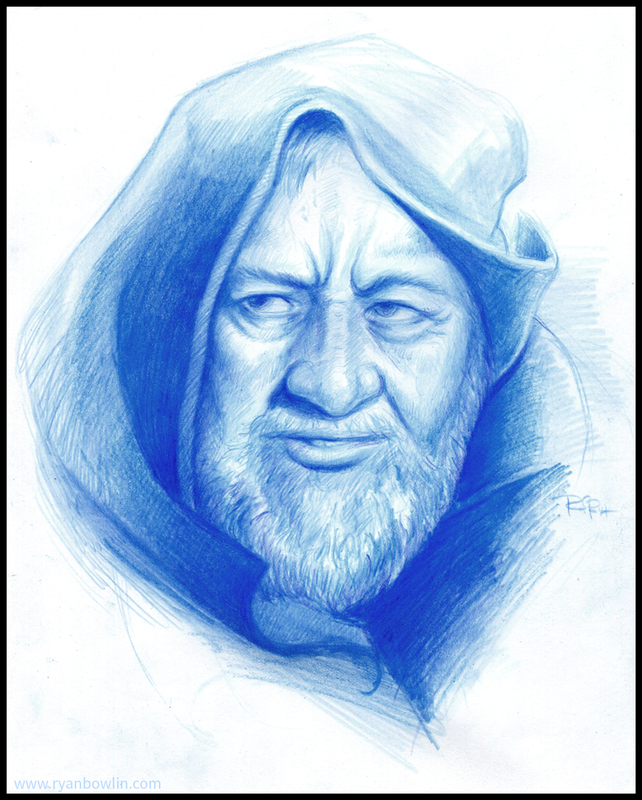 And I've also had a renewed desire to start doing more studies which spawned this drawing of Obi-Wan. I hope you guys like him! In short, I had a great time at the Spectrum event and hope I'll have the opportunity to attend again next year. Never have I been in a place with so much talent under one roof. And I was amazed at how humble and approachable everyone was! It was nice creative shot in the arm for me. I highly recommend making your way to Kansas City next year if you're looking for the same! Loved it! Updates here have been slow going but I've been busy away from the blog. I'll try and have a sketch book update for the end of the week. The new job has kept me really busy but I'm trying to claw at personal work as much as I can in between things. Thanks for checking in!